Technology has come a long way. Without it, we wouldn’t have the Internet, smartphones, or streaming TV. We wouldn’t be able to ask our personal assistants Alexa, Siri, or Cortana what the weather will be like or who won the World Series in 1970. 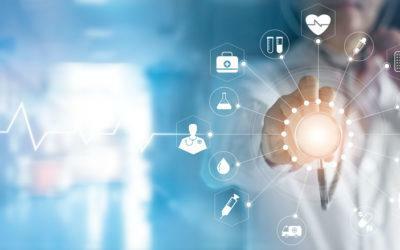 In terms of health care, technology has brought us electronic medical records, remote monitoring tools, cyberknives, and 3D-printed prosthetic limbs. Technology is has made its mark in the diabetes world, too. Meters, insulin pumps, and continuous glucose monitors continue to evolve. Smartphone apps allow you to track your blood sugars and share them with your health-care team. The “bionic pancreas” has made its debut and trials are currently under way. And even insulin pens are getting a tech makeover. The first insulin pen to hit the market was the NovoPen, made by Novo Nordisk, way back in 1985. Insulin pens have changed the lives of millions of people who have diabetes. They’re preloaded with insulin, they’re simple to use, many of them are disposable, and they’re convenient. Pens have been a boon for people who are frequently on the go and for people who are visually impaired or who have difficulty drawing up insulin using vials and syringes. And like all medical devices, insulin pens are starting to become more sophisticated. Smarter insulin pens have been on the scene for a few years. In 2007, Lilly came out with their HumaPen Memoir, which is a pen that has a memory and records the date, time, and amount of the last 16 insulin doses. Novo Nordisk launched their own “memory” pen, the NovoPen Echo, in 2014. This pen also has a memory function and allows for half-unit insulin dosing. Then, in 2011, the Timesulin insulin pen cap became available in the U.S. This cap fits on an insulin pen (Novo Nordisk’s FlexPens, Lilly KwikPens, and Sanofi SoloStar pens) and informs the user how long it’s been since their last injection (and who hasn’t ever forgotten to take an injection?). The InPen, from Companion Medical, is now available in the U.S. for users of Humalog and NovoLog insulins. The system includes an insulin pen and a smartphone app and bolus advisor using Bluetooth technology. The InPen reminds you when you took your last insulin injection, how much you took, and how much insulin is still on board; this information is relayed to the Companion smartphone app. The app also helps you calculate your insulin doses and stores up to a year of data; it will even generate reports for you to share with your health-care team. You’ll need prescription for the InPen and you provider needs to enter your target blood glucose, insulin-to-carb ratios, and sensitivity factors. For more information, visit www.companionmedical.com. Deemed “the world’s first” Bluetooth insulin pen, this pen automatically logs injected insulin doses to the Esysta portal via the Esysta base. The Esysta pen is an adapter that works with all three brands of insulin (Lilly, Novo, and Sanofi). The portal provides information about blood sugars and insulin doses; you can also get this information on your smartphone using the Esysta app. Health-care providers can also access your data on the Esysta portal. The manufacturer, Emperra GmbH E-Health Technologies, is working on a Bluetooth-enabled glucose meter that will transmit glucose data to their portal, bypassing the need for a smartphone app or additional hardware. Stay tuned for Esysta to hit the U.S. market. For more information, visit www.emperra.com. Not surprisingly, new insulin delivery devices are on the horizon. Lilly has its own smart insulin pen in the works. This pen, the prefilled KwikPen, will integrate with an app that can dose and track both bolus and basal insulin. Insulin dosing will be based on glucose readings from either a meter or a continuous glucose monitor (Dexcom). Called the “Connected Diabetes Ecosystem,” Lilly will be introducing not only their smart pen but also an insulin pump that connects to a mobile app. These devices are expected to be available within the next two to three years. BD (Becton Dickinson) is not about to be left out in the cold — they’re introducing an attachment, called Smart Sense, that fits over the end of an insulin or GLP-1 disposable pen. The device transmits dose data to — you got it — a smartphone app, and may be helpful in people better managing their medication. There’s no definitive date yet on this product’s launch, but hopefully Smart Sense needles will make their debut later this year or early next year. Diabetes digital health is booming, and that means more innovative products that can make it easier for you to manage your diabetes and stay “connected” — so, stay tuned!